Thanks to blogging and Twitter, I have made some great author friends. Several of these brave people have new books coming out this year and I want to get the word out! Exciting? Yes! To do my part, I am hosting weekly interviews so we can get to know them, and their books, better! Tuesday, March 16, 2010 – 6:00 p.m. to 8:30 p.m. This Valor group knows how to have fun! Meet authors Michele Ashman Bell (Young Adult-Coming of Age/Romance), Tristi Pinkston (Mystery/Comedy), Karen E. Hoover (YA Fantasy), Daron D. Fraley (Speculative Fiction) and Kimberly Job (Romance) and check out their books! Today’s guest is Kimberly Job. She is a new author with Valor Publishing and her book will be out very soon. 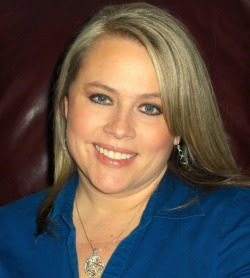 KLJ: Kimberly, thank you so much for being the first author ever interviewed on this blog. I feel a little silly at how thrilled I am, but I hope it makes you feel all the more welcome! Tell us a few things about yourself. KJ: I was born in Utah and have lived here all my life, except for a short time in Florida, where there were way too many BIG bugs. I recently got remarried to the love of my life, Scott. We have a combined family of ten children, so things at our house are always interesting. We struggle to balance being newlyweds and the difficulties present when combining two very different families. In addition to writing, I like to read, scrapbook, cook, and love learning new things. My latest project is trying to figure out blogger and do cool stuff on my blog. KLJ: Ah, love the blog. I have to say I already have LOADS of respect for you after that one answer. I’m guessing when you say things are “interesting”, you mean, “chaotic” in a “we’re-so-thankful-and-happy” kind of way? KJ: Yes, chaos is definitely the rule. We have 5 boys between the ages of 8 and 12 who think every sport that can be played outside is fair game inside as well. We have some stressful times when children fight, but occasionally they surprise us and get along as though we were always a family. KLJ: Sometimes my kids act as though we were always a family. Good times... Did you see we have the same initials? (Good thing for the L or readers might get pretty confused.) I know, like me, you are fairly new to writing seriously. What inspired you to become a writer? KJ: The biggest thing is that I’ve always loved to read. For me, reading was a way to escape difficulties in my own life. There have been times when I’ve read several books per day. I met a friend who is an aspiring writer. I was amazed as he told me about all the books he’s written. He encouraged me to try—so I did. The first book I wrote is I’ll Know You by Heart which is coming out on March 16th. KLJ: Very exciting! I’m going to go out on a limb and say you can never read too many books, especially if they inspire you to do something amazing. And friends are great, too. I don’t think we realize how much we can influence a person to just try. I bet he’s glad you did. KJ: Yes, he’s a great friend. Now it’s my turn to support him as he continues on his journey to being published. KLJ: What is your favorite part of the writing process? What was a surprise? KJ: Believe it or not, my favorite part of the writing process is editing. I think it’s fun to polish things, move them around, and make them even better. My least favorite is plotting—probably because I’m not good at it. When I first started writing, I wondered what to write about, but it’s been a surprise to me that when you open your eyes, and listen keenly, story ideas are everywhere. KLJ: Any tricks you use when discouraged or stuck? KJ: The best thing I’ve found when I’m stuck, is to write something else. I have particular scenes clear in my mind, so I’ll just write one of those. Usually, if I don’t force my writing, I’ll think of something that solves the problem I was having. It’s an amazing feeling when something just clicks in my mind, and then I can’t wait to write it. KLJ: You have a book coming out called, “I’ll Know You by Heart”. I’ve read that every author should have a 2 sentence summary of their book ready so they can answer the following question (I, however, will give you more because I’m nice that way): What is your book about? What happens when the love you thought you found is the one that puts you in mortal danger? A story of pain, survival, and love, I’ll Know You by Heart is a deeply emotional journey of one woman’s determination to save herself and her family from a life of abuse and fear. The day Stephanie Roberts met Jared Wakefield, she didn't realize they'd met before. Running from an abusive marriage and trying to safeguard her children, she turns to Jared for support, but he needs more from her than she might be capable of giving. With her abusive husband looming in her past, the difficulties they must overcome to be together seem insurmountable. Is it possible for love to conquer all? I'll Know You By Heart is a timeless romance that explores the possibility that relationships span the entire realm of eternity. A story about abuse, hardship, and betrayal, it is ultimately a story about the healing power of everlasting true love. 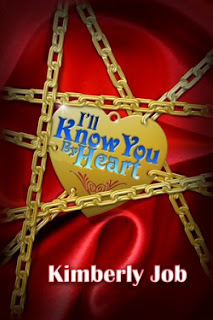 KLJ: What do you love about “I’ll Know You by Heart”? KJ: I love that the main character, Stephanie, has the courage to face her fears, and that she recognizes the source of her blessings. KLJ: This is something close to your heart. Where did you get the idea? KJ: A lot of the thoughts and feelings of the main character are based on my own experiences. I know what it is like to feel trapped in a situation that is out of your control, and I understand the worries and insecurities of being a single parent. But the main idea came from me wanting to portray a character who seems weak and insecure but realizes her inner strength and relies on her Heavenly Father to overcome a very difficult situation. KLJ: There are more abused women out there than people realize. It's such an important topic because there can be a way out. Tell us about the release. KJ: The book will be released on March 16th. Valor Publishing is holding a huge book launch party that evening at the Gateway Barnes and Noble in Salt Lake. Four other authors will also be launching their book that night, and lots of other authors will be in attendance. It’s from 6:00-8:30. I’d love to see you there! KLJ: It sounds great! I will check my schedule. Making a trip from NW Wyoming requires several factors meeting in perfect alignment. If I can’t make it, I will be wishing you the best time (and tapping my ruby slippers together, repeating, “There’s no place like Barnes and Noble… There’s no place like Barnes and Noble…”). Next question: Are you currently working on something new? Jessica, a high-powered New York executive, hated by practically everyone she meets, leaves for a business trip, not knowing how much it will change her life—and not necessarily for the better. She finds herself destitute and alone in a situation her privileged life has made her incapable of handling. Adam, a recluse trying to escape his former life and all reminders of it, finds Jessica and has no choice but to help. His aloof but tender nature bring out characteristics in Jessica that have always been there, but which she has buried to avoid the pain of past mistakes she would just as soon forget. Can these two strangers overcome the anguish of their tainted pasts and allow themselves a chance at happiness? A Change of Heart is a story about conquering unrealistic expectations we place upon ourselves and realizing happiness is often well-deserved. KLJ: Excellent. I’m glad you’ve used all your “waiting to be published” time wisely. Tell us where we can find your book. KJ: Right now, my book is available for preorder from my publisher. It’s also available on Amazon. Once it’s released it will be available at Barnes and Noble as well as other local bookstores. KLJ: Does saying that give you goosebumps? I have goosebumps. KJ: Totally. When I got an email from Valor saying that it was now available on Amazon, I could hardly believe it. I had to go check right away, and I keep checking—as though for some reason it’s going to disappear. KLJ: I don't blame you at all. It's still there, though, I just checked. This next question is one I’ll be asking in every interview: Has blogging and social networking (Twitter, Facebook) influenced you as a writer? KJ: Blogging and social networking have influenced my experience as a writer by making it easier for me to associate with and learn from other authors. I’ve made many great friends that I never would have met otherwise. KLJ: Like Me! Any advice for aspiring authors? KJ: Never give up. If you have enough desire to actually write a whole book, then stick with it until you achieve your goal. Try not to listen to the perfectionist in your head who says everything has to be exactly right, and wonders if you’ll ever be good enough. Also, I credit my success to my determination to learn about the craft of writing. I knew nothing when I started, but I read everything I could get my hands on, and attended some amazing writing conferences. I also joined a critique group and have learned so much from having my own work critiqued as well as listening to the critiques of others. KLJ: Final question: If you could be a character in any book, who would you be? KJ: My favorite character is Alexa in Anita Stansfield’s Gables series. She’s strong and spunky and goes after what she wants, but doesn’t let anyone take advantage of her—I want to be more like that. KLJ: I can see how you would relate to a character like Alexa! Thank you so much for this interview. I hope you had fun, and I wish you every success with your book! KJ: I had tons of fun. You were an amazing host, and I can’t wait to meet you in person. Kimberly is pretty awesome and I can't wait for her book to be released. I also know the friend she mentioned that encouraged her and he's a stellar writer too. Kim, I'm so happy for you! Krista, thanks for always writing great posts and reaching out. You rock. Great interview. Kimberly is right. You are an amazing host. Thanks to Kimberly I was able to find your amazing blog!!! Also a very amazing interview! How fun!! Wow, what a wonderful first interview. I bet you are tremendously satisfied (both of you). :) I would be!